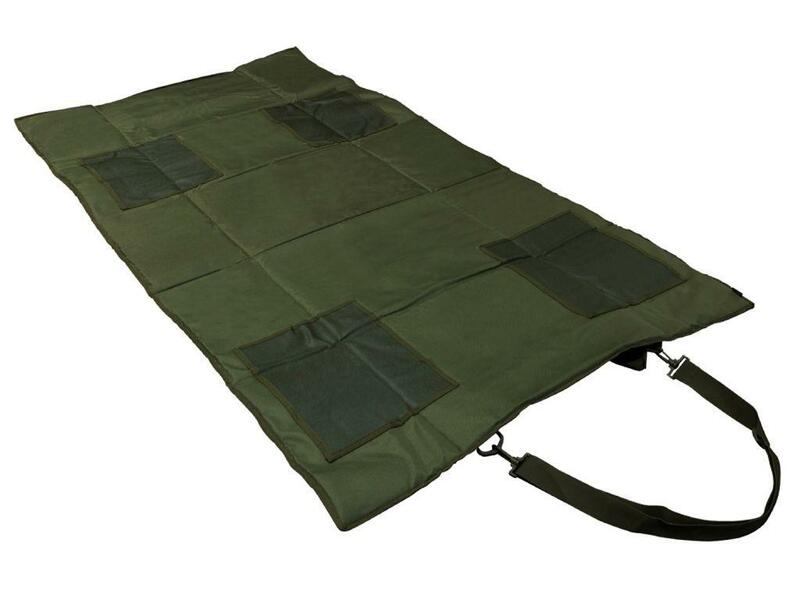 NcStar Roll-Up Rifle Shooting Mat | ReplicaAirguns.ca | Easter Weekend Sale! 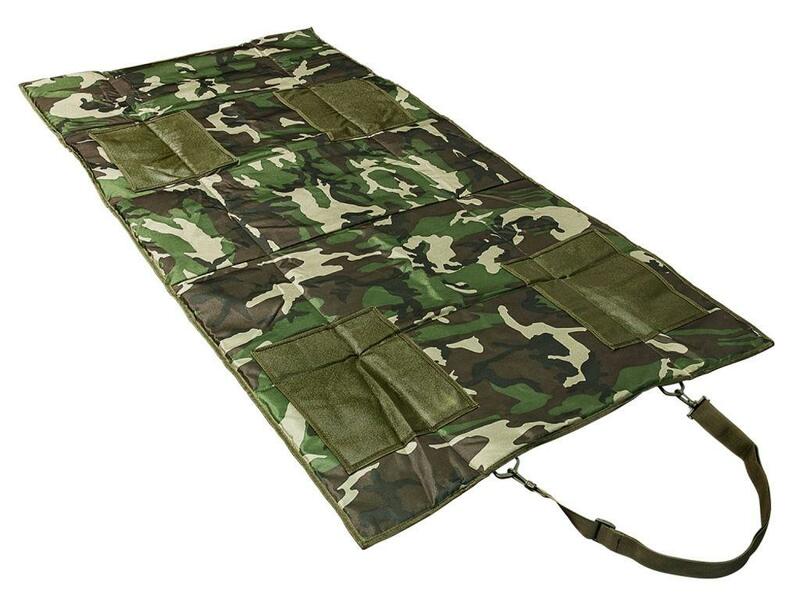 Comments: Stay dry on damp ground with the NcStar Rifle Shooting Mat. 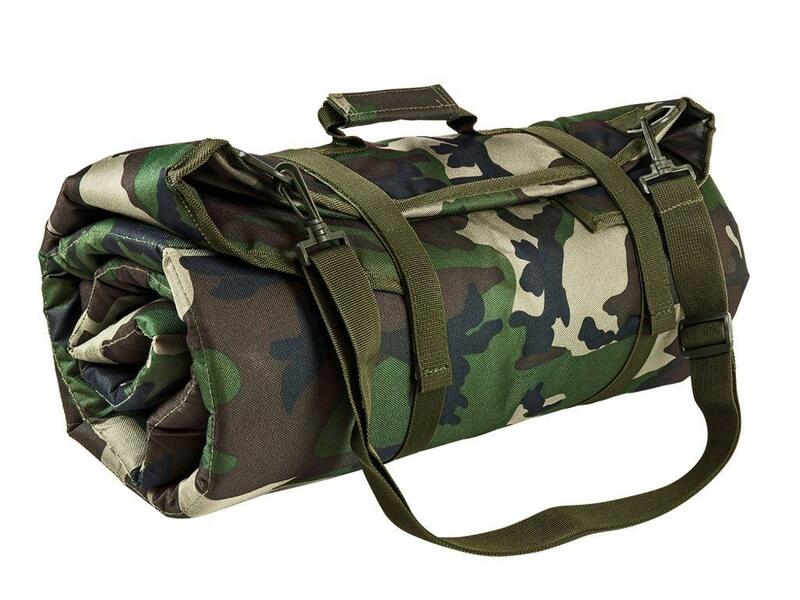 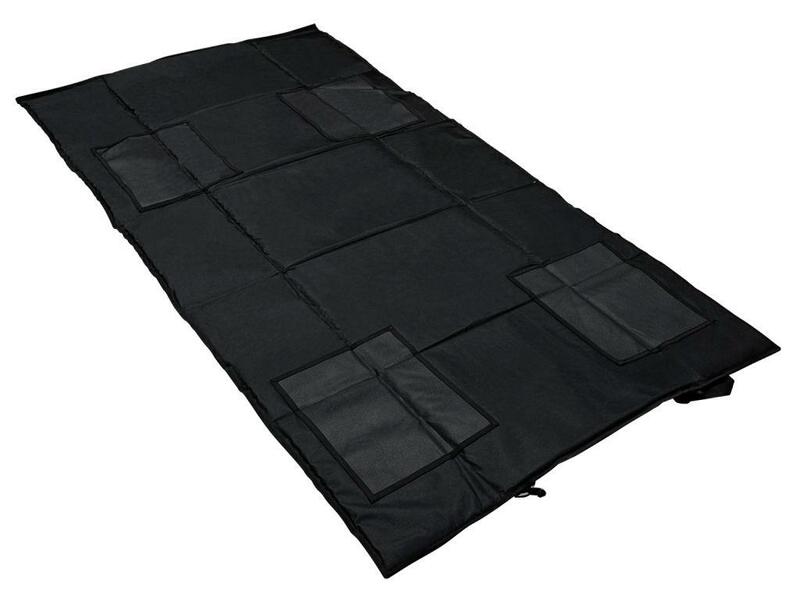 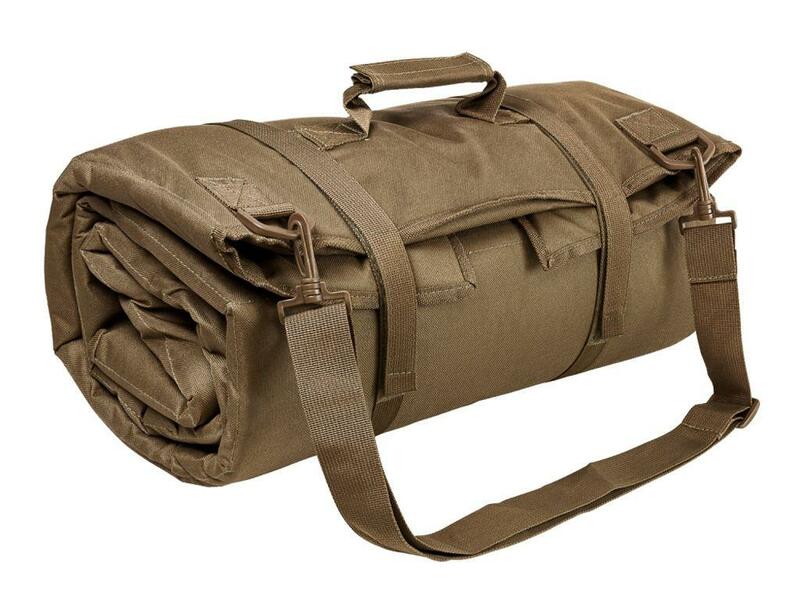 This spacious shooter's mat has a waterproof PVC bottom, and thick layer of cushioning. 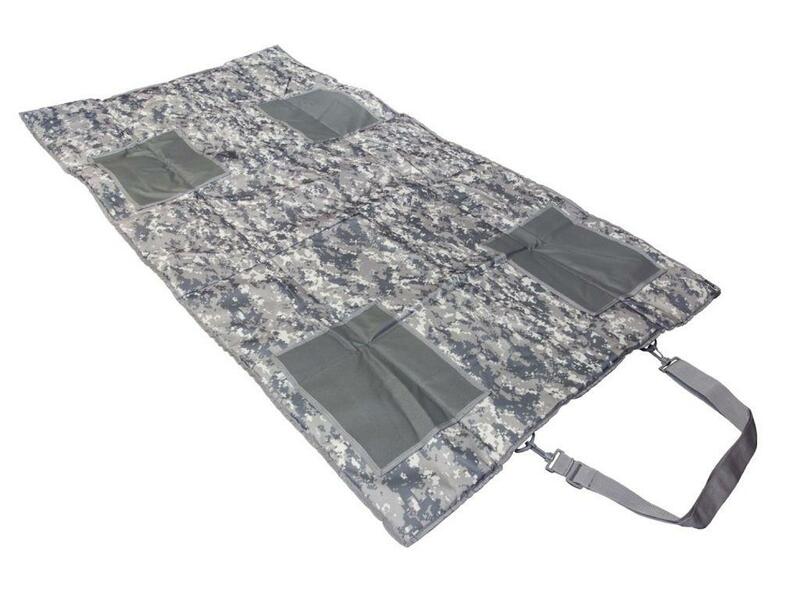 The non-slip coating ensures that you can stay absolutely still once you find your target. 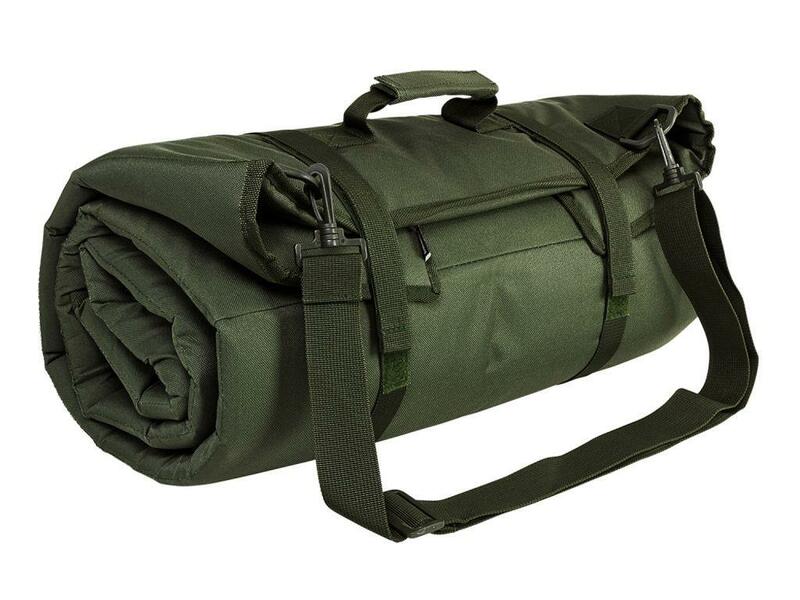 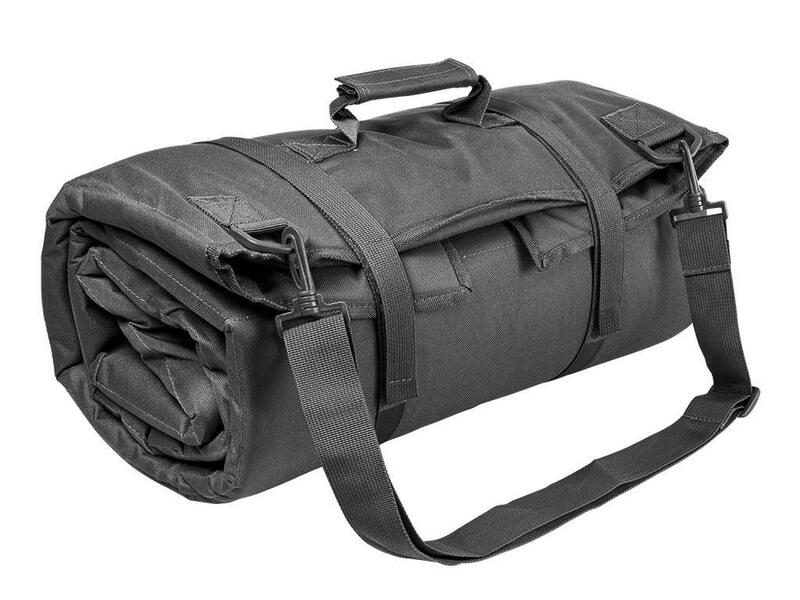 When not in use, the mat can be rolled up and carried with the handle or adjustable shoulder strap. More than just a shooting mat, this mat can also be used to help secure your firearm bipod in place, preventing the rifle from moving forward under recoil. 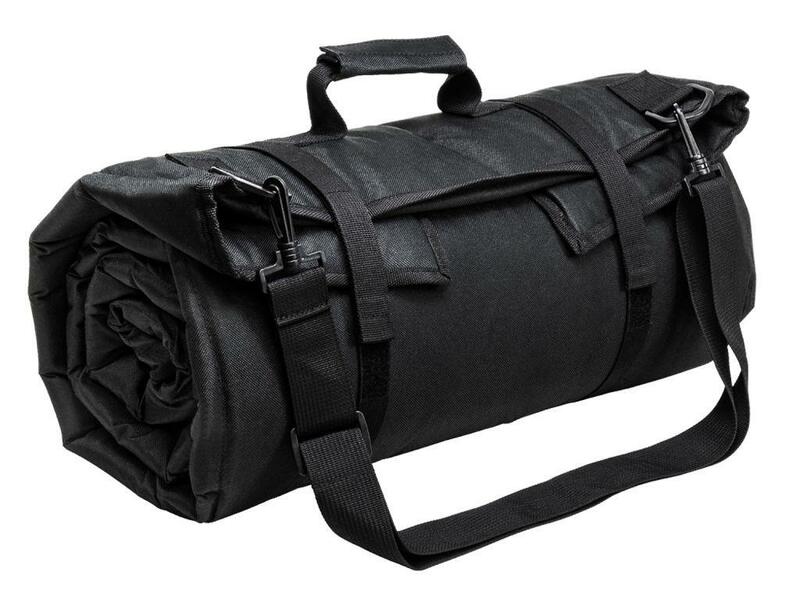 Additionally, it works great as a pillow when rolled up, or as a pad under a sleeping bag.